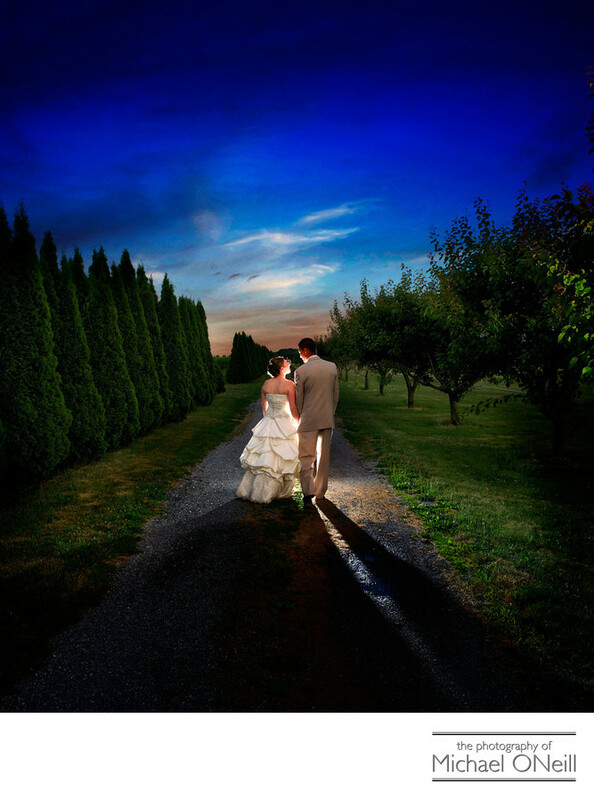 The wineries of the North Fork of Long Island are some of my favorite places to take wedding pictures. I have worked at them all...Vineyard Caterers, Macari Vineyard, Raphael Vineyard, Bedell Cellars and this one: Martha Clara Vineyard. All of these venues have their own unique characteristics and charm. I love Martha Clara Vineyard for it’s reception hall...a building who’s barn-like exterior belies the wonderful, yet casual, accommodations within. I will never forget this wedding. It was Fourth of July weekend and the temperatures were soaring. I recall that the mercury hit 106 degrees in the afternoon when we were taking pictures of the bride and groom, their wedding party and families. Fortunately, an area behind one of the barns at Martha Clara had a shed roof extension that not only offered refuge from the intense heat, but also created a wonderful portico lighting environment that made for studio-quality natural lighting in the rustic outdoor environment. Give me a call if you are planning a Long Island North Fork Vineyard or Winery wedding. I would love to share pictures from some of my favorite events with you.